You are here: Home / Blog / Kerala Tourism / Kerala – The Ultimate Heaven on Earth, Truly Gods Own Country! 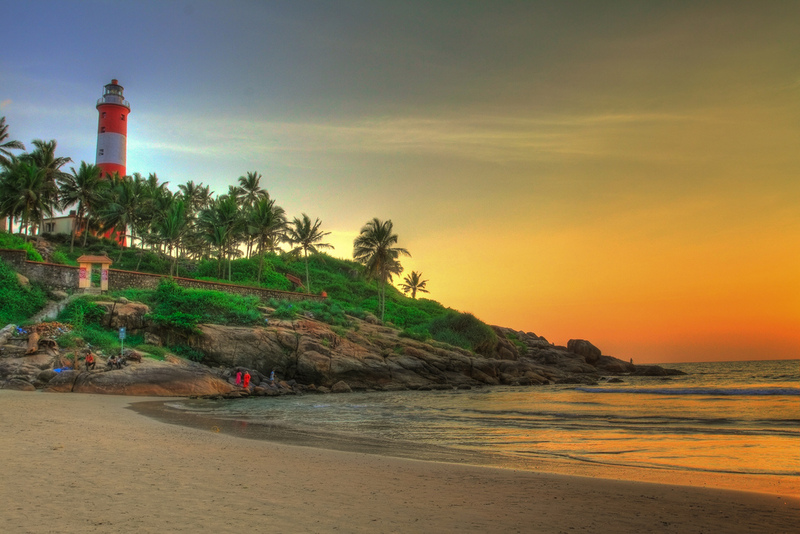 Kerala – The Ultimate Heaven on Earth, Truly Gods Own Country! Not only the backwaters & beaches, terms like Ayurveda treatments, art & ancient dance forms like Kathakali, Koodiyattam, Thullal etc are also familiar to travellers. One of the honeymooner’s paradise and best selling itineraries – Kerala Honeymoon Tour Packages. Besides, Kerala is the first state to attain 100% literacy rate among all other states in India. Kerala, referred as “Gods Own Country” & “Paradise for Travellers” is a place popular for its vibrant backwaters, ancient temples, picture-book towns, sprawling tea plantations including many spices, sandy beaches and many more. The Greenery from the top view is due to Coconut groves and thick forests as the state is bordered with Arabian Sea & Western Ghats on the other side. Kerala is the only state in India as each & every location within has something or the other including ancient temples which are examples of ancient sculpture and carvings and hence its known as Gods Own Country. kerala honeymoon packages Kerala Culture is something exceptional which is well maintained since decades and even its still followed by the government and the localites. Climate is humid except hill stations like Munnar, Wayanad & Thekkady which enjoys a cool climate throughout the year. Otherwise Kerala enjoys a tropical climate. The unique beauty and charisma differ Kerala from other Indian states. Natural beauty is something which is exceptional and remains uncompared. Its not just the natural beauty alone, Kerala offers array of attractions including backwaters, wildlife reserves, waterfalls, beaches, hill stations, temples and many more. By Road: National Highways connects Kerala with other states and one of the easiest way to travel from southern Kerala to North. State Highways are also available within the state to cover towns & villages within the state. https://www.honeymoontourskerala.com/wp-content/uploads/2017/02/Kerala-tour-packages-logo.gif 0 0 Renjith Jayakumar https://www.honeymoontourskerala.com/wp-content/uploads/2017/02/Kerala-tour-packages-logo.gif Renjith Jayakumar2015-06-29 21:04:032018-04-09 11:55:00Kerala - The Ultimate Heaven on Earth, Truly Gods Own Country!